The European Revolutions of 1848, known in some countries as the Spring of Nations or the Year of Revolution, were a series of political upheavals throughout the European continent. Described by some historians as a revolutionary wave, the period of unrest began on 12 January 1848 in Sicily and then, further propelled by the French Revolution of 1848, soon spread to the rest of Europe. From 1860 to 1867, constitutional reform therefore ranked high on the political agenda. Neo-absolutist rule gave way to broader political participation, lively public debate, and the protection of individual rights. The most difficult aspect was the position of Hungary within the framework of the empire. 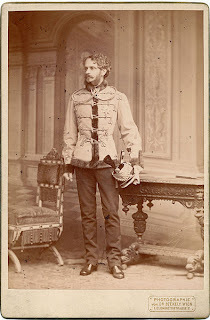 The Hungarian opposition under leaders like Ferenc Deák and Count Gyula Andrássy negotiated the Ausgleich , or Compromise, of 1867, which transformed the Habsburg possessions into Austria-Hungary. From 1867 to 1918, the so-called Dual Monarchy symbolized a union of the Kingdom of Hungary and Austria over the other kingdoms and lands of the Habsburgs; both parts shared the person of the monarch, the King of Hungary and Emperor of Austria, and the settlement of succession laid down in the Pragmatic Sanction of 1713–1723 was the constitutional foundation of Austria-Hungary. According to Law XII of 1867, approved by the Hungarian diet, Hungary also accepted a common foreign policy and a common defense. Currency and foreign trade issues were also to be resolved in common. After 1868, a common Austro-Hungarian army and navy formed the Habsburg monarchy’s fighting forces, but there would also be defense forces for Hungary and Austria. The common ministers of foreign affairs, war, and finances and the prime ministers of Austria and Hungary would deliberate on questions of common interest. Delegations from the parliaments in Vienna and Budapest would discuss regularly the common ministers’ policy. The contributions of Hungary and Austria to the budget of the common ministries had to be negotiated every 10 years. Among the common ministers, the minister of foreign affairs stood out as minister of the Imperial and Royal House. He presided over the session of the common ministerial council if the monarch were not present in the council. High politics were traditionally the most prestigious aspect of government policy, and the decision to wage war or to make peace was considered to be the monarch’s prerogative. In the Dual Monarchy, where there was no common prime minister or chancellor, the foreign minister served as the monarch’s most important political advisor. In domestic affairs, the emperor and king had to rely on the heads of governments in Vienna and Budapest. The prime ministers of both Austria and Hungary were appointed and dismissed by the monarch, who had to approve any legislation, but the prime ministers nonetheless needed the backing of a parliamentary majority to get their budgets and bills through the legislative assemblies. Emergency legislation offered an opportunity to circumvent unruly parliaments, especially in Austria, but only for brief periods. In Hungary, support for the prime minister in the diet was almost indispensable. The composition of the parliaments in Vienna and Budapest differed significantly. Austria’s ethnic diversity was adequately reflected in parliament, at least by comparison with the ethnically homogenous Hungarian diet. Magyars, the Hungarian-speaking segment of the population, were overrepresented as a consequence of restrictive electoral laws excluding the less affluent and mostly non-Magyar Hungarian citizens. In Austria, the electorate was gradually expanded and universal male suffrage introduced in 1907. The crown supported this democratization in the hope that nationalistic parties with their middle-class supporters would lose clout. The Austrian crown lands had their own parliaments and electoral rules; the administration of the crown lands was headed by a governor, chosen by the emperor and usually drawn from the high nobility. Within the framework of the Kingdom of Hungary, the Kingdom of Croatia-Slavonia enjoyed a high degree of autonomy, whereas the rest of the Hungarian realm had a more centralized structure than Austria. On the domestic agenda, dualism and the nationality question stood out. Whether the settlement of 1867 was sufficient to secure Hungarian independence was hotly debated among Hungarian politicians. With the diet in Budapest dominated by the small Hungarian-speaking elite of landowners and bourgeoisie, social or national divisions in the parliament were less significant than the divide between the supporters of the Ausgleich and the followers of almost complete independence. 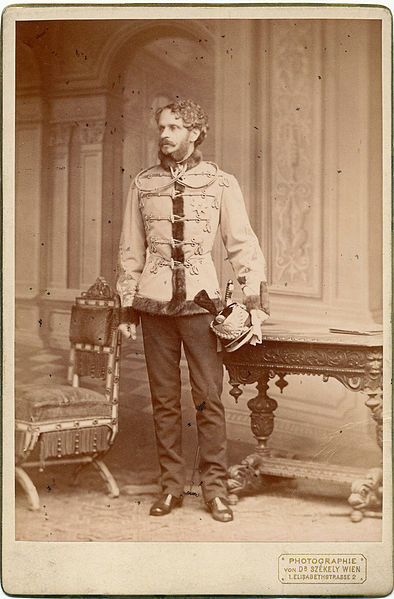 The Liberals under the leadership of Kálmán Tisza accepted the Compromise of 1867 as the legal basis of Hungary’s place in the Habsburg monarchy and controlled Hungarian politics until 1890. Over the following decade, the economic success and growing self-confidence of the Magyar middle class fueled a significant rise in Magyar nationalism. The Independence Party followed the tradition of the revolutionaries of 1848–1849 and put pressure on the Hungarian government to aim for Hungary’s independence. In 1903, the conflict between Hungary and the crown escalated, when Francis Joseph upheld the status quo of the common army in the face of attempts to establish Hungarian as the language of command. A coalition formed around the Independence Party was forced to give in to Francis Joseph when the king threatened to have a general franchise bill introduced in parliament in 1905. In the last years before World War I, István Tisza, the leader of the Hungarian moderates, managed to rein in the opposition within the diet and became the most influential politician in Austro-Hungarian politics. In the late 1880s, Tisza became the first Hungarian prime minister willing to co-finance a massive military buildup. Stability in Hungary and better cooperation between Vienna and Budapest, however, could be achieved only by accepting Magyar dominance in Hungary and Hungarian assertiveness in Austro-Hungarian negotiations. To Francis Ferdinand, Francis Joseph’s nephew and heir apparent, this was anathema. He believed that Hungary’s strong position within the Dual Monarchy would block any sensible solution to nationality problems and would eventually bring down the Habsburg Empire. Yet he and his supporters tried in vain to roll back the political influence of Hungary’s elite, so when war broke out in 1914, dualism was still one of the decisive features of the Habsburg Empire’s political system. FURTHER READING: Bérenger, Jean. A History of the Habsburg Empire, 1780–1918. London: Longman, 1997; Bridge, Francis R. The Habsburg Monarchy Among the Great Powers, 1815–1918. New York: St. Martin’s, 1990; Cornwall, Mark, ed. The Last Years of Austria-Hungary: A Multi- National Experiment in Early Twentieth Century Europe. Exeter: University of Exeter Press, 2002; Evans, Richard J. W. The Making of the Habsburg Monarchy 1550–1700: An Interpretation. Oxford: Clarendon Press, 1984; Ingrao, Charles. The Habsburg Monarchy, 1618–1815. Cambridge: Cambridge University Press, 1994; Kann, Robert A. A History of the Habsburg Empire, 1526– 1918. Berkeley: University of California Press, 1974; Kann, Robert A. The Multinational Empire: Nationalism and National Reform in the Habsburg Monarchy, 1848–1918. 2 vols. New York: Octagon Books, 1964; Macartney, C. A. The Habsburg Empire, 1790–1918. London: Weidenfeld & Nicolson, 1968; Mason, John W. The Dissolution of the Austro-Hungarian Empire, 1867–1918. London and New York: Longman 1985; May, Arthur J. The Hapsburg Monarchy, 1867–1914. Cambridge, MA: Harvard University Press, 1951; Sked, Alan. The Decline and Fall of the Habsburg Empire, 1815–1918. London: Longman, 1989; Taylor, A.J.P. The Habsburg Monarchy, 1809–1918. Chicago: University of Chicago Press, 1976.